Need more than 25 servings? No problem. As you add this machine to your cart, you will be given options for adding additional servings and selecing your flavors. Feel free to contact us if you have any questions. 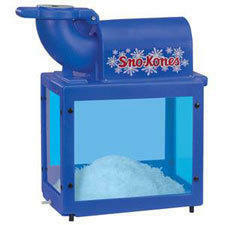 We deliver our snow cone machine rental all over the northshore including Mandeville, Covington, Slidell, Hammond, and surrounding areas (minimum order and delivery fees may apply).